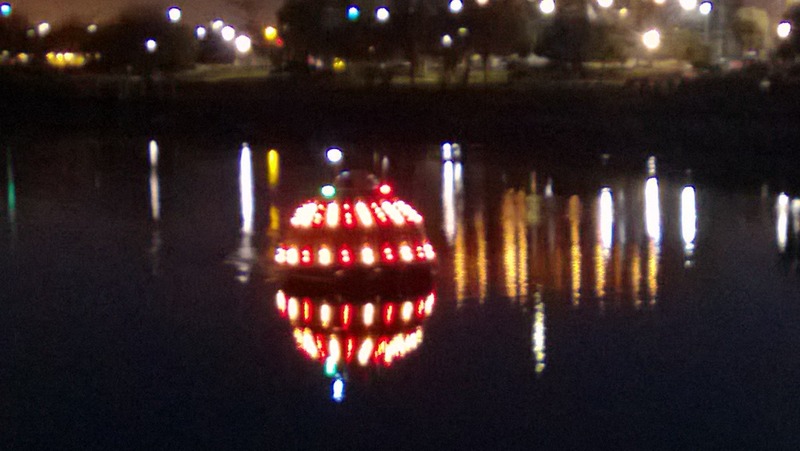 The floating Dalek came out of its hiding and was apparently in attack mode tonight as it drew attraction to itself with bright flashing lights. It might have been a light show, but I’m sure it was hunting. this is your new place? 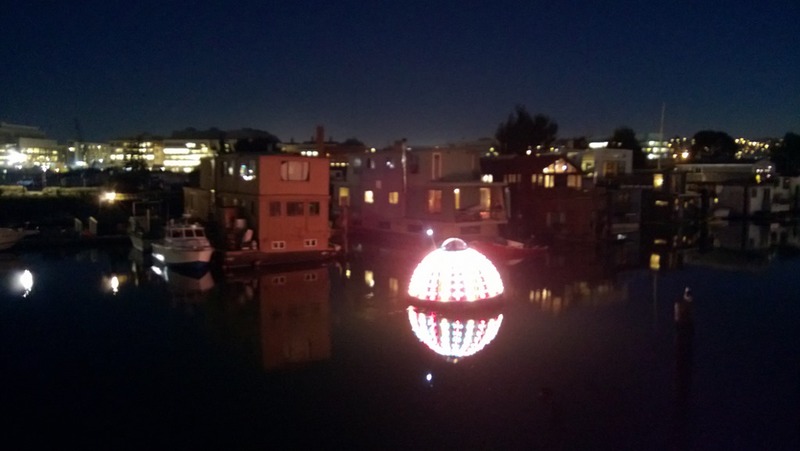 San Francisco is our new home town, and our current apartment is next to the water. But, no, we don’t live in the floating bubble thing.